If you've been drooling over Apple's flashy new MacBook Pro, you might want to stuff your stocking with a different laptop. Consumer Reports said Thursday that it has decided not to recommend Apple's new MacBook Pros, because the notebooks' battery life can be miserable. The issue isn't exactly new: Many MacBook Pro owners have been complaining on social media that their computers have short battery life. Consumer Reports' tests confirmed customers' gripes. The MacBook Pro's battery life was "highly inconsistent from one trial to the next," Consumer Reports said in its review. For example one MacBook Pro model ran 16 hours in one test and less than four hours in the next. Another got a stunning 19.5 hours of battery life in its best test, and dropped to a woeful 4.5 hours in its worst. Although battery life can vary from test to test, Consumer Reports said a fluctuation as large as the one it experienced on the MacBook Pro is extremely rare. Usually, laptop battery life only varies about 5% from test to test. Since Consumer Reports said averaging the battery life length would not reflect what a customer would actually experience, it decided to factor in the lowest battery life measured for each model. That resulted in some truly dreadful ratings. The 15-inch version received a score of 56 out of 100. The 13-inch version without the new Touch Bar got a 47, and the 13-inch MacBook Pro with a Touch Bar only got a score of 40. That's well south of the MacBook Air (70 of 100), which is half the price of the cheapest MacBook Pro that Consumer Reports reviewed. The $585 Acer Aspire even scored higher than the new MacBooks. Consumer Reports' best-reviewed model is the Vaio Z, which received an overall score of 81 out of 100. None of the MacBook Pro's scores were high enough for Consumer Reports to recommend them. 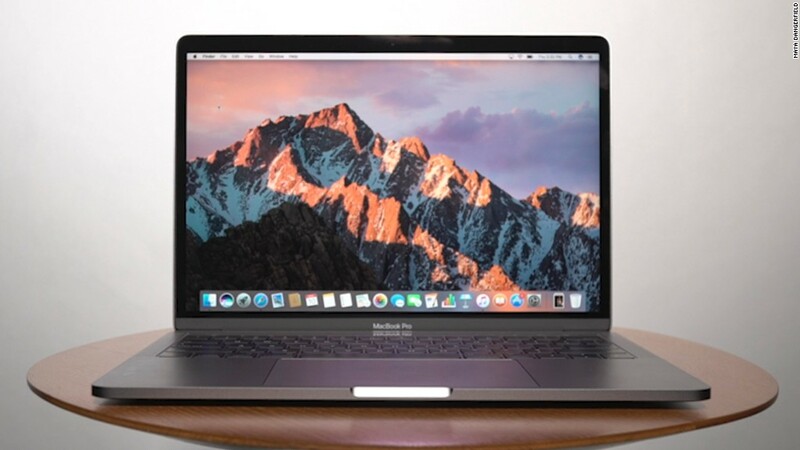 It marked the first time Consumer Reports said consumers shouldn't buy a MacBook. An Apple (AAPL) spokesman did not respond to a request for comment. Related: Is the MacBook Pro's Touch Bar a gimmick? Apple claims that the new MacBook Pros get 10 hours of battery life. The new computers' most notable new feature is the Touch Bar, a touch-sensitive strip above the keyboard that changes functions based on the software running on screen. Consumer Reports and Apple have a checkered history. The magazine notoriously failed to recommend the iPhone 4 for its 'antennagate' signal issues, even though it rated the phone higher than any other smartphone on the market. That led to a crabby Steve Jobs giving a press conference, announcing that Apple would give every iPhone 4 customer a free case. But Consumer Reports was the first major publication to throw cold water on Apple's 'bendgate' phone cracking controversy. In lab tests, Consumer Reports found that the iPhone 6 was far more durable than YouTube videos made it appear.